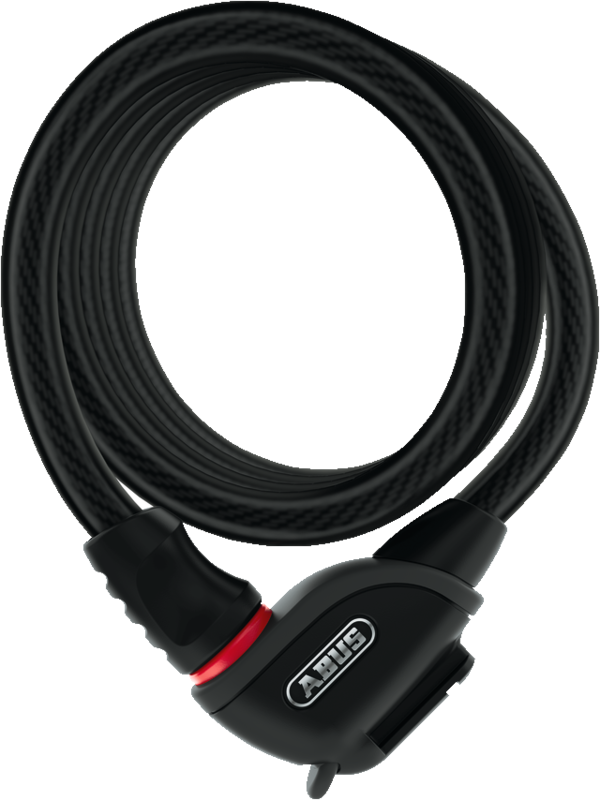 With the Coil Cable Lock PHANTOM™ 8950 from ABUS you secure your bicycle especially quickly and easily against theft. This bicycle lock captivates by its unproblematic application, as well as by its noble design. The ABUS Coil Cable Lock PHANTOM™ 8950 enables you to use it very quickly for several reasons. For example, once you have put the bicycle lock around your bike and around a fixed object, you no longer need a key to lock it. The annoying key search is no longer necessary thanks to the ABUS Extra-Classe automatic cylinder and you save valuable time. And when you don't need the bike lock, you can quickly attach it to the innovative magnetic mount. Simply insert into the holder - ready. The Coil Cable Lock PHANTOM™ 8950 is not only practical, it also looks particularly good thanks to its plastic coating with a matt black appearance.